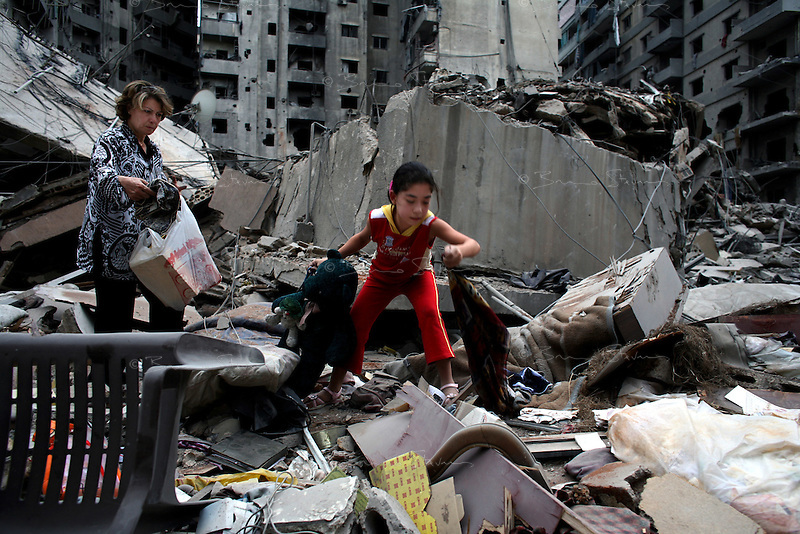 Beirut, Lebanon, Aug 14 2006.Zeina, 11, searches the rubble for family belongings with her mother Mariam Hassan Jinah and her father Khalil Tawil, 52. Their home was an appartment on the 9th floor of an 11 storey building, completely levelled by an Israeli air raid. Mere hours after the beginning of the cease-fire, thousands of inhabitants return to Hareit Hreik, the main Hezbollah stronghold in the capital, constantly targeted by Israeli air force bombing raids during 33 days and almost totally destroyed as a result.